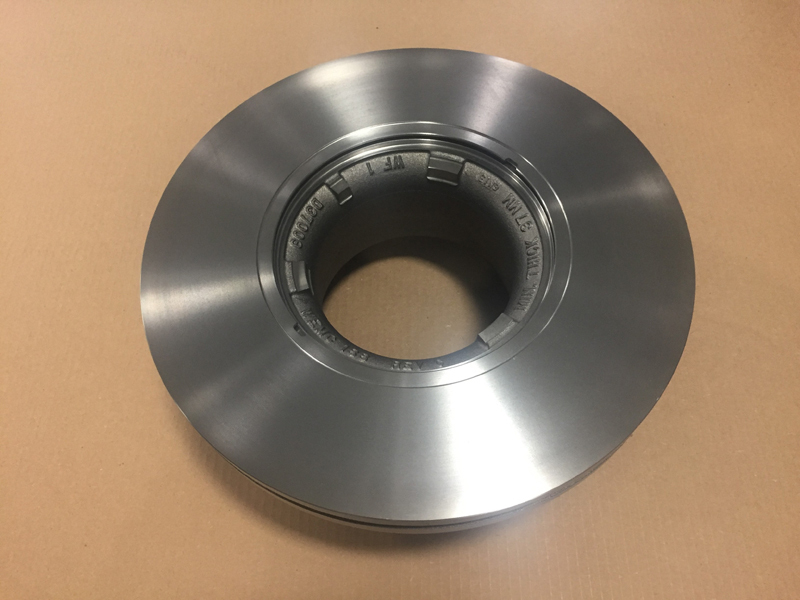 At Swihart Industries, Inc., we provide custom CNC turning for high precision cast iron machined parts for the trucking and transportation industries. 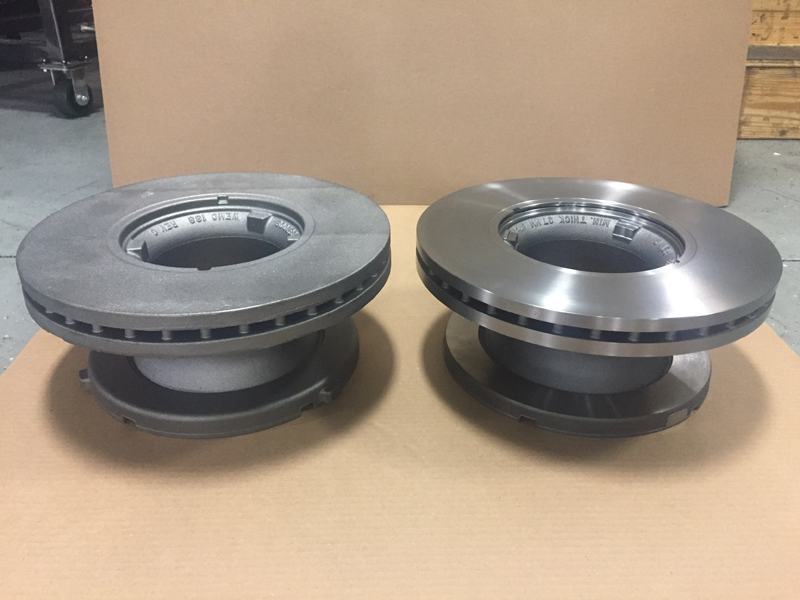 Our capabilities are ideal for applications such as commercial truck rotors (Class A and Rig). Additionally, our capabilities can be used in the light weight and recreational vehicle market. These air disk brake (ADB) rotors improve breaking performance under demanding load conditions and help reduce thermo-mechanical stresses encountered during these conditions. 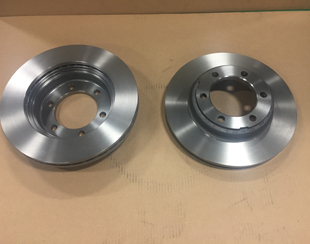 For this process assembly we machined the air disk brake rotors at 3.4"/15.38" (86.36/390.65mm) and the machined brake rotor at 6.76"/16.334" (171.704/414.78mm) with Gray Cast Iron and a RMS 120/RA 40-120 material finish depending on the part. 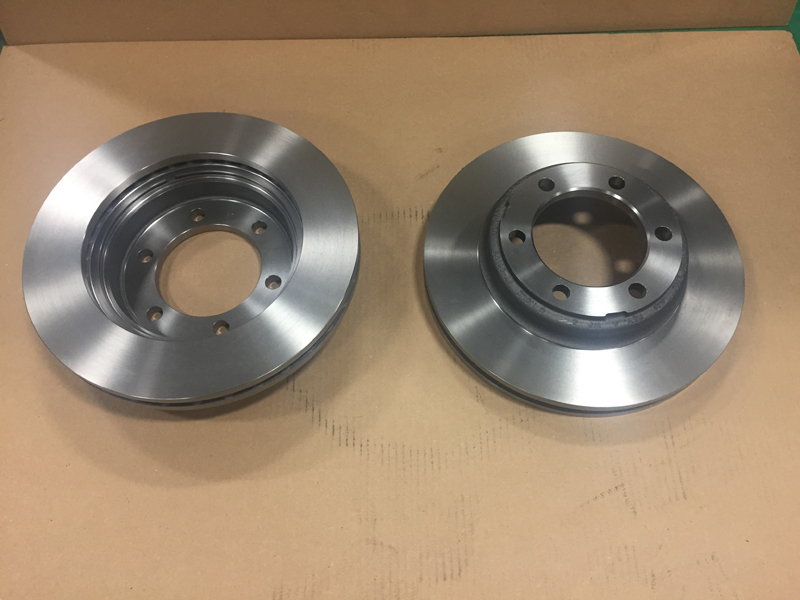 These parts were made using precision CNC equipment including, Okuma Howa, Daewoo vertical twin spindle lathes. 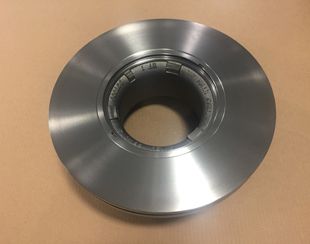 For these parts we also used precision cutting tools to guarantee parallelism between the rotors. The parts are made to meet minimum dimensional tolerances of +/- .001. Our customer's products are part of solutions produced for the trucking and commercial industry. This application specifically describes the unique requirements for truck rotors. Swihart Industries holds ISO 9001:2015 and TS16949:2009 certifications. These products were also put through the PPAP (Pre-Production Approval Process) and achieve a CPK of 1.67 and 1.33. Equipment used to assure the quality parts meet tolerance specifications include, the Sheffield Apollo RS CMM's (Coordinate Measuring Machine) touch probe and in process inspection. Typical production volume ranges from 200-10,000 pieces per release, depending on demand. Our facilities are located near the I70 and I75 intersection which allows for easy shipping across the country. Swihart has worked with this client for over 12 years because of excellent quality and on time delivery. For more information about this custom CNC machining and assembly project, see the table below, or contact us directly. Machined Brake Rotor - 3.4"/15.38"
Air Disk Brake Rotor - 6.76"/16.334"